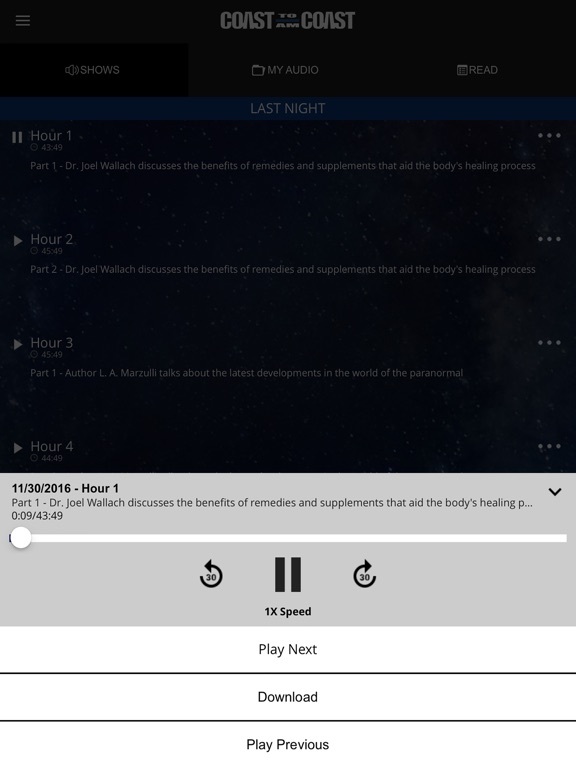 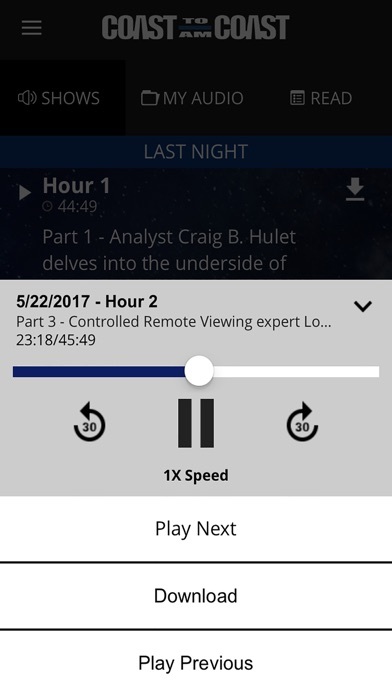 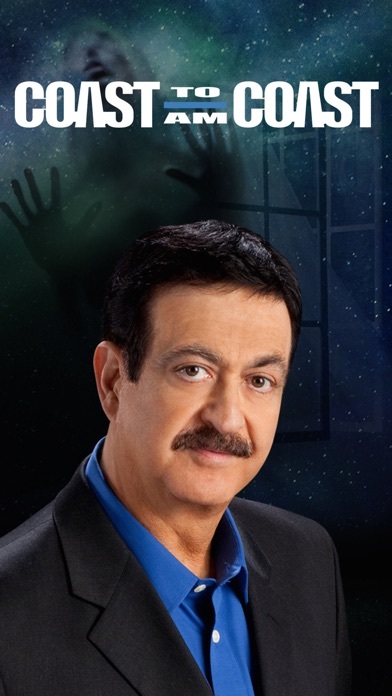 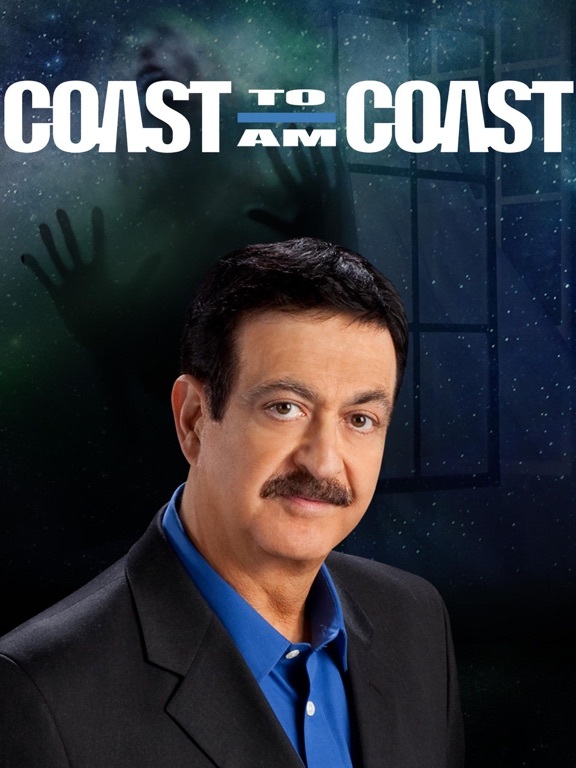 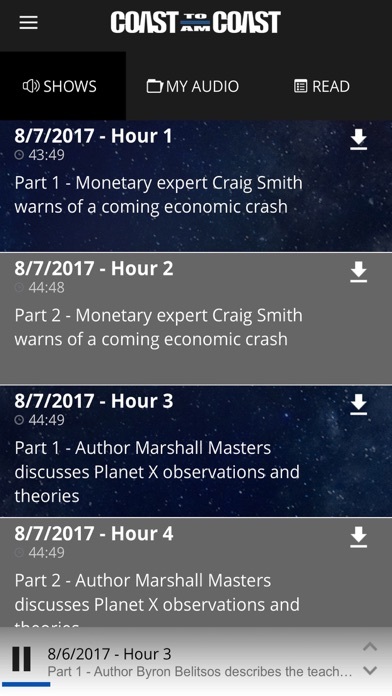 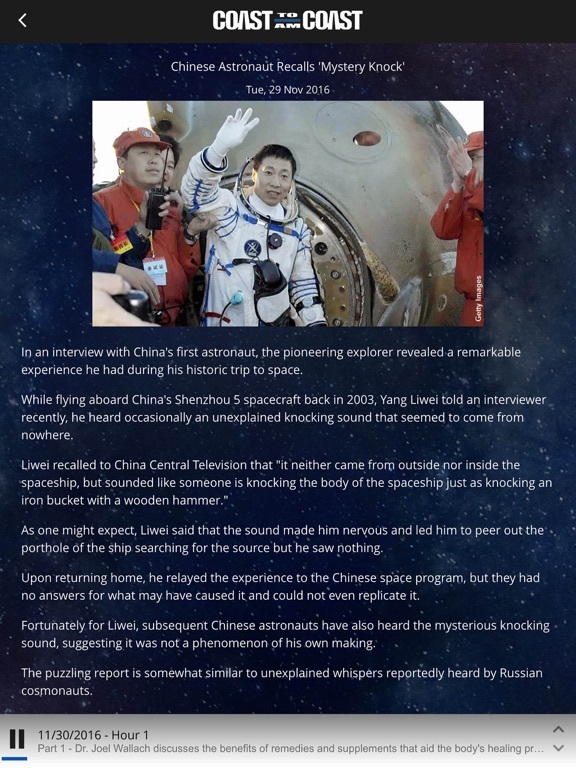 From the Coast to Coast AM show hosted by George Noory, this app offers Live and On-demand audio streams, and Podcast downloads for the last 90 days of shows for Coast Insider members. 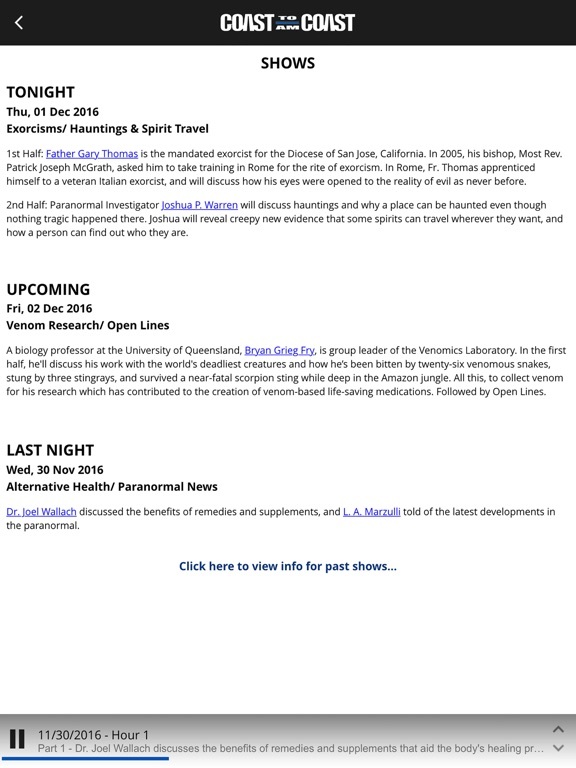 It also provides Show, Article, Photo, and Guest--related information, Show contact info by phone or email, Station list, and Coastzone Newsletter Sign-Up. 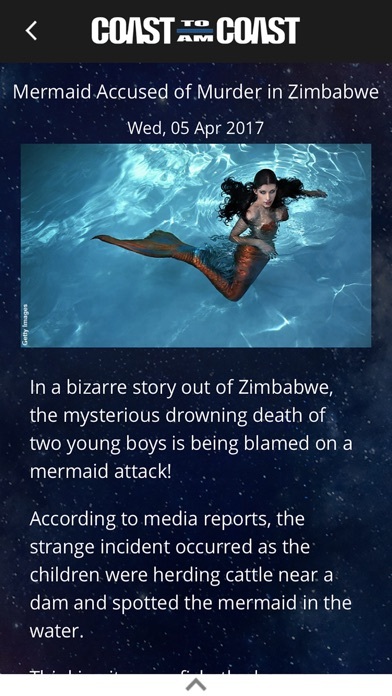 Other Apps by Premiere Radio Networks, Inc.